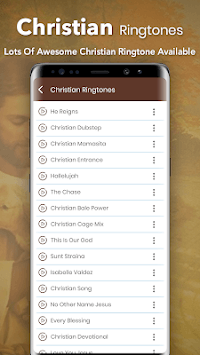 Christian Ringtones is a Large Collection of Christian Songs ringtone. These sound effects bring a level of immersion in sound unlike anything you have experienced before. If you love Scary music, you will definitely love to have one of the Christian ringtones mp3 form this collection on your phone. Personalize your phone and be proud of your choice! All top sounds you need are here carefully picked to be "Christian Ringtones” for your favorite notification and alert ringtones. 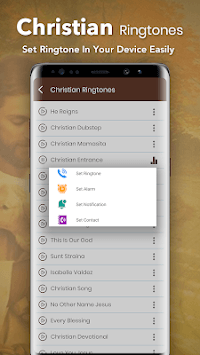 Every time somebody hears the latest Christian ringtone, they will know that it is you with these best sounds for Android. We always choose high quality ringtones that are diversity, uniqueness and great fun for Christian Ringtones app, particularly all of them are free. This top Android app only contains Christian ringtones. Enjoy the best ringtones, SMS sounds and alarm sounds on your Android phone today! - High quality sound effect. - Play the best sounds whenever you want! - Share your selected file via e-mail or other Social media. 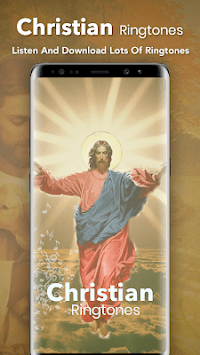 -Get Christian ringtones free download! If you like these app, rate us 5 stars and leave a nice comment.